Are you into art journaling? Love it and want to give it a go? 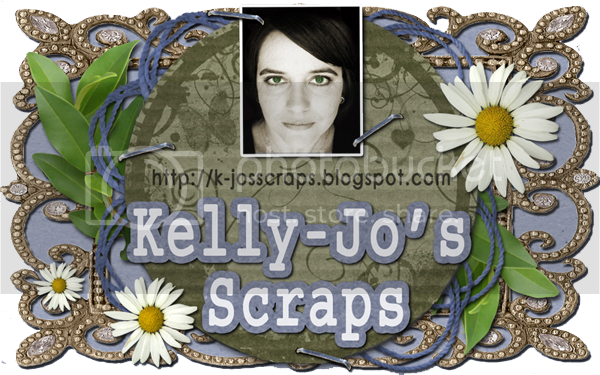 Like the look and would like to incorporate it into your daily scrapping layouts? Well Courtney and I have the perfect kit for you, and I am sure you will love it as much as we do. Most of the elements in here have been hand drawn, painted/coloured in real life, scanned, and then extracted to make sure this kit had the right look. With all the hand made stuff this kit has taken us nearly 3 months to finish!! As well as the elements some of the papers incorporate hand made items as well like Courtney's beautiful flower illustrations and some funky zentangles from myself. Are you still with me? Good! So as you can see, you can get as down and funky as you want with this kit, or you can keep it more traditional. Didn't they do a fantastic job?!?! You can see some more layouts from Courtney's CT on her facebook fan page. And please check out what the awesome Rylea has created in her hybrid project using Creative Inspirations.....she is such a talented lady! Wouldn't you love to have this as a book cover? Now this kit will be availabe until the end of March 2012 for only $7. At the end of the month it will go up to the regular price of $10. I know it is a bit more expensive than owr regular kits, but I think you will all agree this kit is totally worth the few extra $$ with all you get. You can get it now at The Den....hurry don't miss out on the special!! Want a freebie to go with it? How about 2? No worries! Head over to Courtneys blog for her cute little cluster frame and you can get mine below! It's a journal page with a prompt to get your creativity flowing. Lots of space to draw and journal....what inspires you?? Thank you so much for this post. I want to let you know that I posted a link to your blog in CBH Digital Scrapbooking Freebies, under the Page 1 post on Mar. 20, 2012. Thanks again. Fabulous work!!! I would love to collab with you, Kelly- Courtney and I did Hide & Seek and it is still a big hit! If you are up for it, and would like the collab to be featured in my AJworkshop- email me. And even an Artistic Alliance of 3 would be super cool!